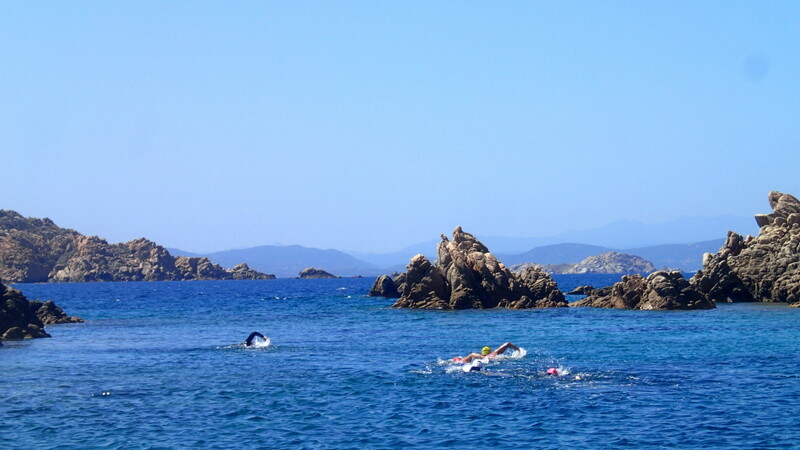 Swimtrekking is the perfect experience for swimmers looking for something a little bit different. Equipped with a mask, a snorkel, flippers and a diving suit, you have everything you need in a miniature, portable, fibreglass dinghy. Discover the wonders of the marine world while swimming along the coastlines of some of the most stunning island locations, exploring magical underwater worlds and uncovering idyllic beaches. A unique experience to be shared with your travelling companions. Home to the Greek god Poseidon, the sea’s waters are omnipresent, all-enveloping and embracing. Water, the source of life that silently unveils breath-taking panoramas and a host of flora and fauna. An enriching and unforgettable experience that holds an infinite number of surprises. Gliding through the water or suspended in its warm embrace with the added sensation of the depth and the vastness of the sea opens doors to an unexpected world of silence and to a spontaneous moment of meditation where everything can be traced back to a single molecule of water. With every stroke that echoes a heartbeat and every breath that fuels each gentle movement, the surrounding silence makes us acutely aware of our own physical presence and the act of breathing, leading us into a state that oscillates between the real and the imaginary.